……Peter Cannon that is, of Astran fame. 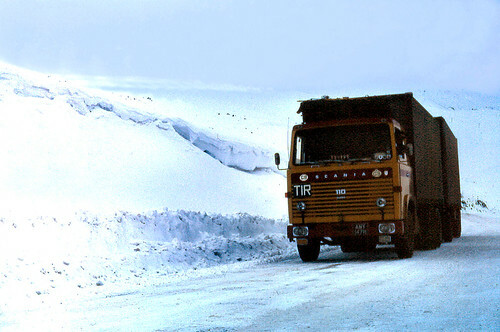 Peter has been sending through a few of his favourite photo’s from his years at Astran. Some of you will recognise this photo. 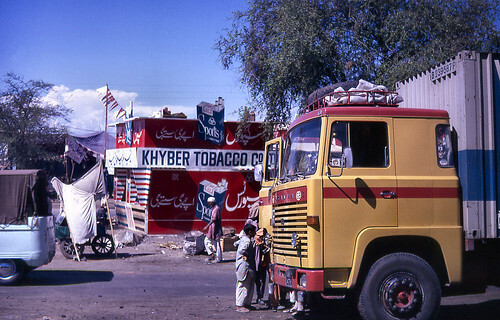 Taken in Pakistan on the far side of the Khyber Pass, another version of this photo, taken a bit to the left, features in the Astran almanack, The Long Haul Pioneers. If you haven’t already bought one, you do need a copy so get buying. 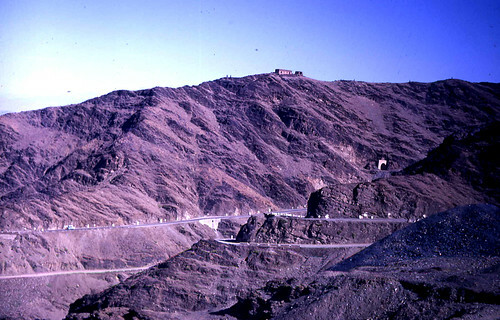 Speaking of the Khyber Pass, here is a great shot of the perfect place for bandito’s to hide! 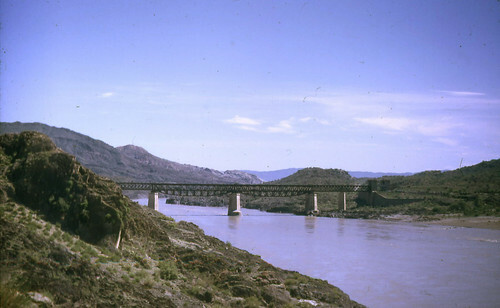 While we’re on the Pakistani tourism desk, this is a great shot of what was then called the Attock Bridge. Being the inquisitive chap that I am, I got onto the Google Map and finally found the bridge. These days its now called The Old Bridge as there is a new modern bridge to cope with the greater flow of traffic I guess. These 3 photos are all of AMY 147H, Peter’s regular truck. All taken at various places across Turkey. A hard working girl was AMY, she certainly got around and did her bit to get Astran the name they achieved. Not having my copy of LHP to hand, I think I am right in saying she was the first Astran truck to go to Pakistan. I’ll check that when I get home! 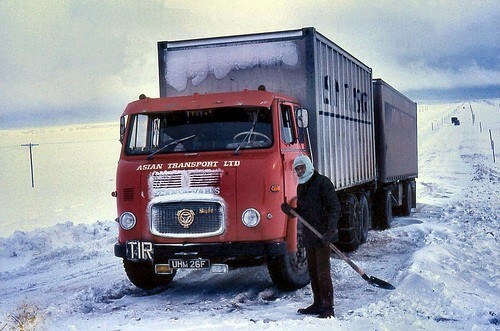 Perhaps AMY 147H, a Scania 110, is a good candidate for the next model in the Astran series of Tekno models?? If you agree, leave a comment below. In fact if you have a suggestion for the next model in the series leave your ideas in the comments box and i’ll make sure Kevin at Astran gets to see them all. 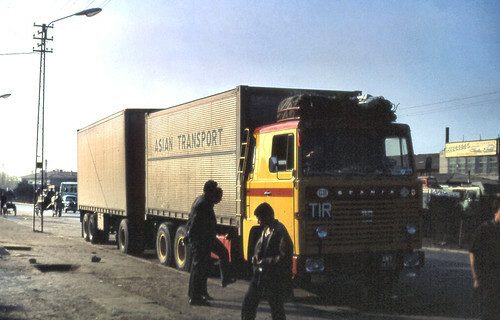 This entry was posted in Astran, Drivers Photos, Golden Oldies, International Mega Trucking, Photos, Scania by truckbloguk. Bookmark the permalink. These are awesome pics! I think AMY would make a great model ! 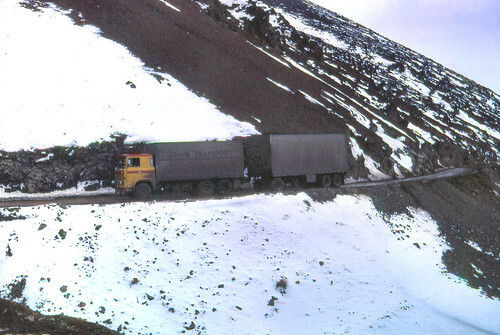 Great pictures of the good old days Peter.The photo of John Frost with the “pink lady” was taken by me.It was on the road south from Agri going towards Van.At least we avoided Tahir. Hello Gordon, how nice of you to join us. Peter did say he thinks they were all his photos, but couldn’t be sure. I hope you don’t mind me using it on the blog? great pics,love to see them, think its a great idea to build AMY 147H by tekno.